HERO: Armed Jogger Saves Woman From Sexual Assault — Condition Yellow: Stay Alert. Stay Alive. It was 5:30 in the morning on a dark trail in Austin, Texas when 22-year-old Richard McEachern selected his prey. Sneaking up on a jogger, McEachern seized her from behind in a bear hug and began dragging her away, his hand over her mouth. He removed the victim's shoes and shorts — and began to sexually assault her. Somehow, the victim managed to begin screaming for help. Another jogger nearby heard her cries for help and took action. Josh Williams has been licensed to carry a gun for about 10 years and takes his Glock 43 almost everywhere he goes, KVUE-TV reported. But on the morning of Sept. 15, Williams almost didn’t take the gun along for his weekly run on the Hike-and-Bike Trail in Austin, Texas — but a voice inside him said he might need it, the station said. It was about 5:30 a.m. and still dark when Williams heard a woman’s screams on the trail over his earbuds, KVUE reported. So he took out his earbuds and pointed his flashlight in the direction of the screaming — and quickly realized a woman was being sexually assaulted, the station said. “I came up, pulled my gun and told him to get off of her,” Williams told KVUE, adding that he ordered the man to get on his knees and show his hands. While the man ran off, Williams took the victim to safety and waited with her until police arrived, the station reported. While the left fixates on instances of guns being used to harm innocent people, they ignore countless other ones just like this one, where a gun was used to save lives. You don't get to pick when these animals attack. You only get to pick how you react. McEachern was eventually identified by a combination of witness statements and surveillance footage. 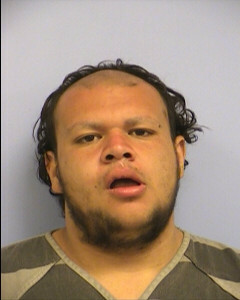 He was arrested by police days later and remains in Travis County Jail. Although McEachern faces charges of sexual assault, had it not been for Josh Williams exercising his Second Amendment rights, those charges could've included murder.